– Understand team needs and business context of team work. – Conduct industry research and company research, both primary and secondary. – Data collecting and analyzing base on the projects. – Deliver high quality client work in PowerPoint presentations and translated documents. – Coordinate activities with the team leader. – Support BD team to finish some BD jobs. – Working experience in research or consulting firm will be a plus. – Strong communication skills, flexible and highly socialized. – Excellent command of English both spoken and written. – Independent and strong logical thinking, analytical skill and detail-oriented. – Strong personal qualities including: great attitude, openness to learn and good team player. 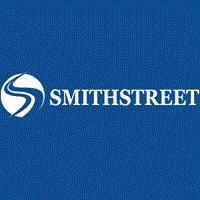 SmithStreet is a Shanghai-based, boutique consulting firm focused on China growth strategies. By understanding China and solving business challenges through a holistic and innovative approach, we provide strategy services including market assessment, China entry and expansion strategies, market growth strategies and acquisition advisory across a wide range of industries. We are a group of fast, smart, and unconventional consultants. Please only respond if you are prepared to work hard, play hard, and think out of the box!